A clear diagnosis and definitive picture of what’s going on is critical for proper treatment. 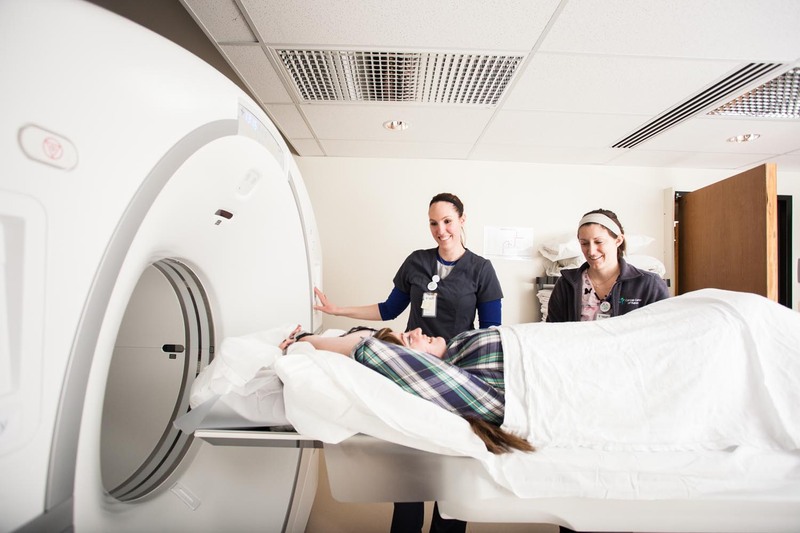 Diagnostic imaging is a great tool to present an image of exactly what we’re treating and why. This process can seem confusing and intimidating – our job is to simplify and take action. 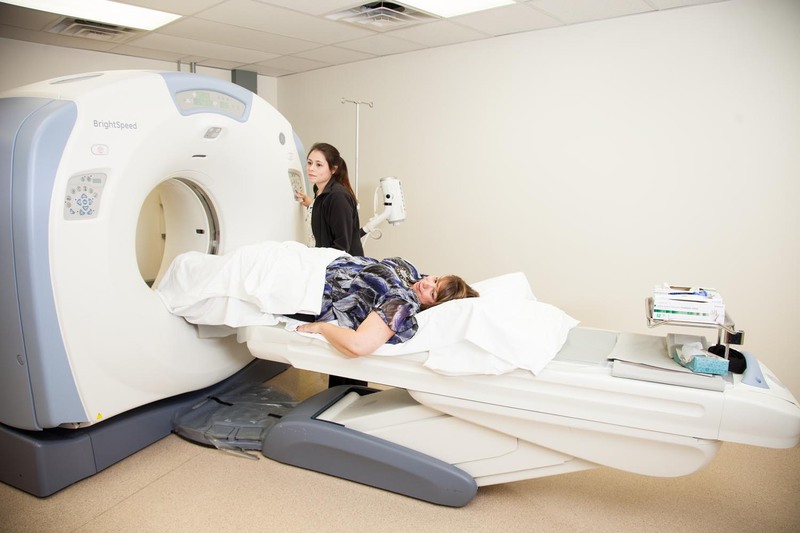 To view CCK diagnostic imaging instructions for specific scans please click here. This machine is located on the 1st floor in Suite 100. This test measures the calcium content of the bones to see if you are at risk for osteoporosis or a fracture. 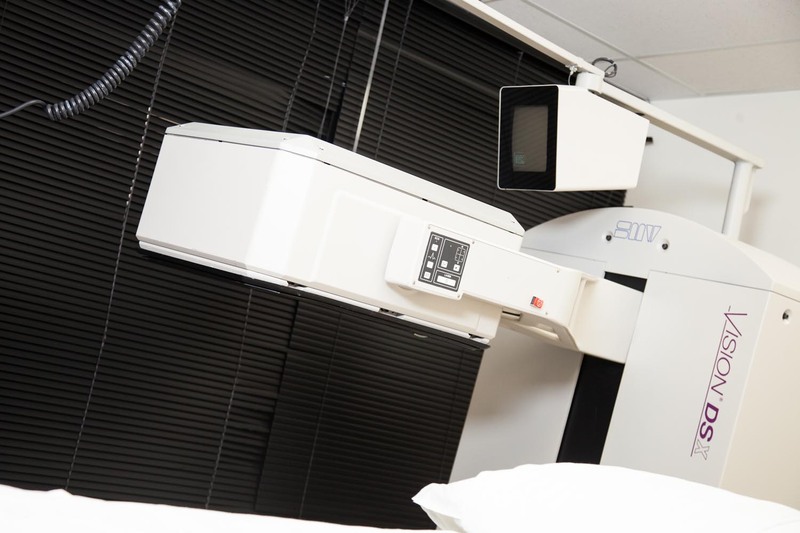 Low dose x-rays are performed on your lumbar vertebrae and both upper femurs. In preparation for this exam you should not take any calcium supplements 24 hours prior to your test. Also, no tests that utilize IV contrast or barium (CT scan, IVP, MRI scan, etc.) be performed within the 7 days prior to this exam. Patients need to minimize the amount of metal in their pelvic area. The exam itself takes approximately 30 minutes. This machine is located on the 1st floor in Suite 100. This test looks at the functionality of the heart. It shows how well your left ventricle is pumping blood to the rest of your body. You will be injected with a phosphate that tags to the red blood cells. This must circulate a minimum of 20 minutes. Then you will be injected with a radionuclide that tags or “sticks” to the phosphate. You will be placed on a bed with a camera head over your upper torso. You will have EKG leads placed on your chest. Three separate views are taken of your heart pumping blood. There is no patient preparation for this test. You will be asked to remove any metal out of the chest area. The total test time from start to finish is approximately 1 ½ hours. This machine in located on the 1st floor in Suite 100. This test looks at bone destruction due to fractures and/or metastatic disease. You will be injected with a radionuclide. It needs to circulate for a minimum of 3 hours. You will come back and lie on a bed while the nuclear camera slowly moves over the top of you and then the backside of you. This takes anterior and posterior views of all your bones. The process takes approximately 1 hour. There is no patient preparation for this test. You can eat and drink in between the injection time and the scan time. You really need to drink at least 24-32 ounces of water during the 3 hours. This helps circulate the isotope throughout your system and improves the quality of your pictures. You will be asked to remove any large metal items (belt buckles, large necklaces, etc.). The entire testing process is 4 hours. This machine is located on the 1st floor in Suite 100. This test looks for any cells that are metabolizing and using energy. You will be injected with a radionuclide. It needs to circulate for 1 hour so that it has time to accumulate in the cells. 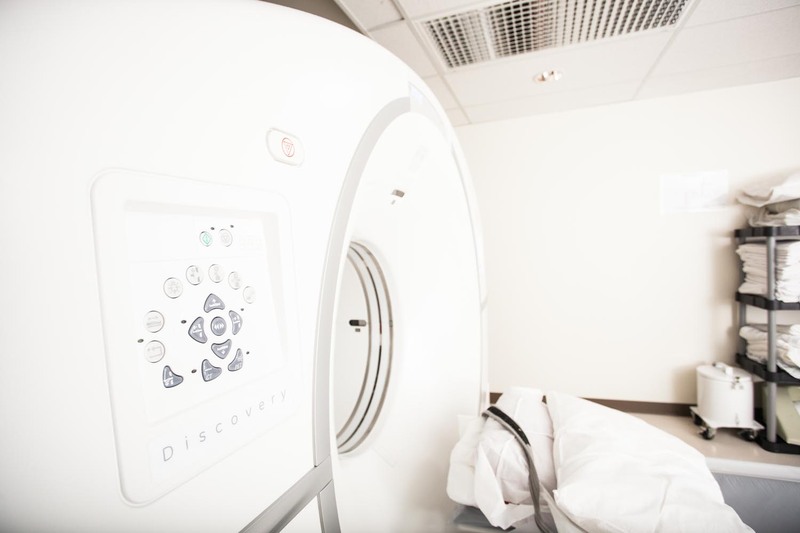 You will then be placed on a bed and scanned from your mid-skull to mid-thigh (in some cases melanoma patients will be scanned from head to toe). All removable metal will be removed from the area to be scanned. 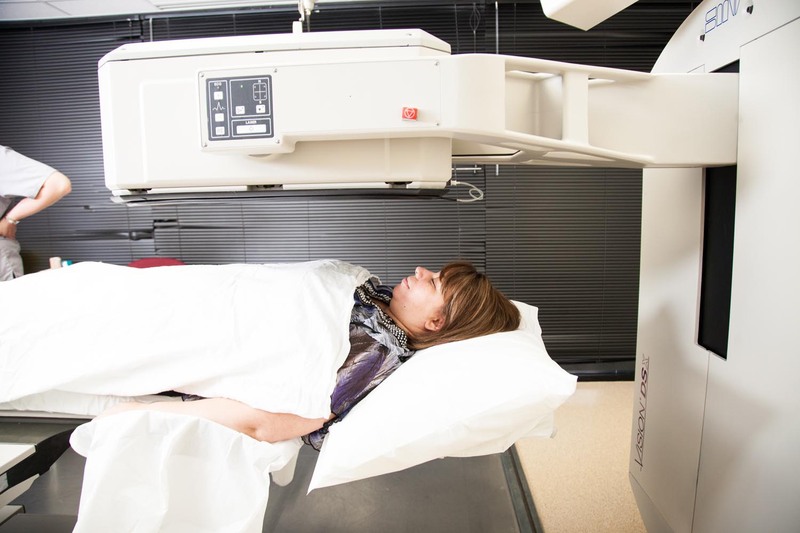 Patient preparation is a special diet that needs to be followed in the 24 hours leading up to the date of the scan. No food or drink 6 hours prior to the scan except for 24 ounces of water within the 2 hours prior to the scan. The entire test takes approximately 2 hours. This machine is located on the 1st floor in Suite 100. This test looks at the structures within your body. 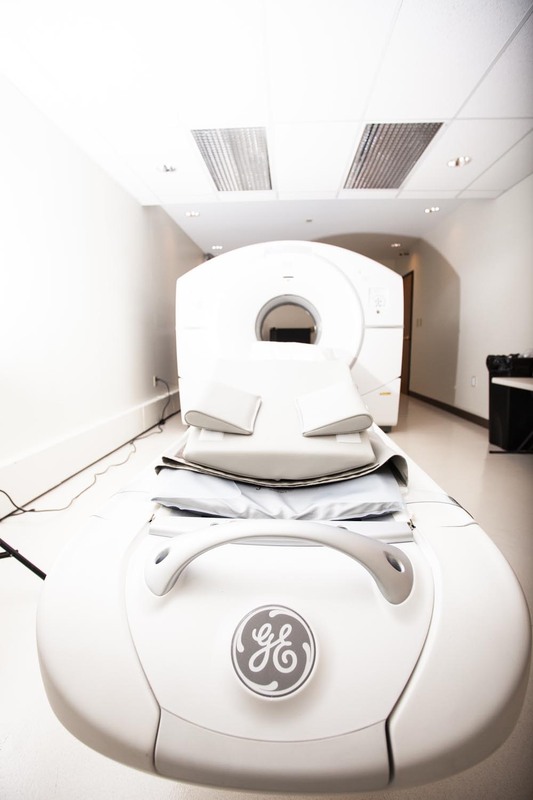 The scan can show all of the organs, bones, blood vessels, tumors and much more. 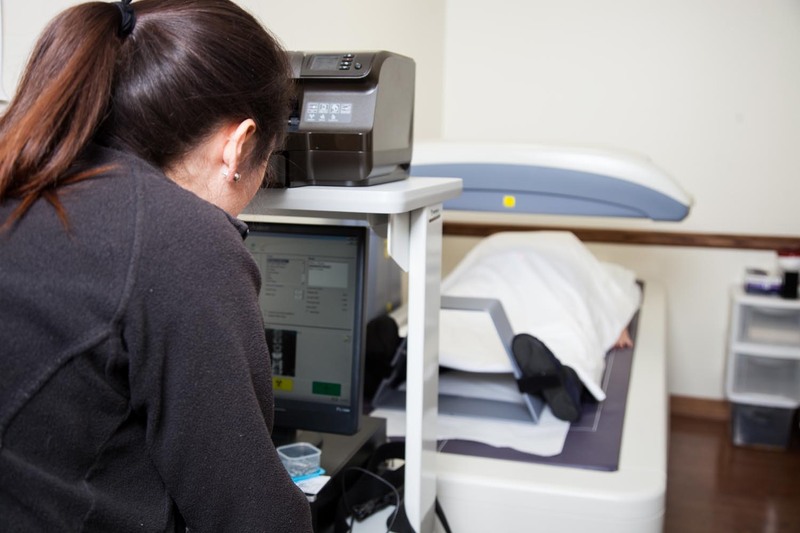 Some scans require you to fast 5 hours prior to the scan time (this will depend on what anatomy you are having scanned.) Iodine contrast is also used in conjunction with the barium for most CT scans. 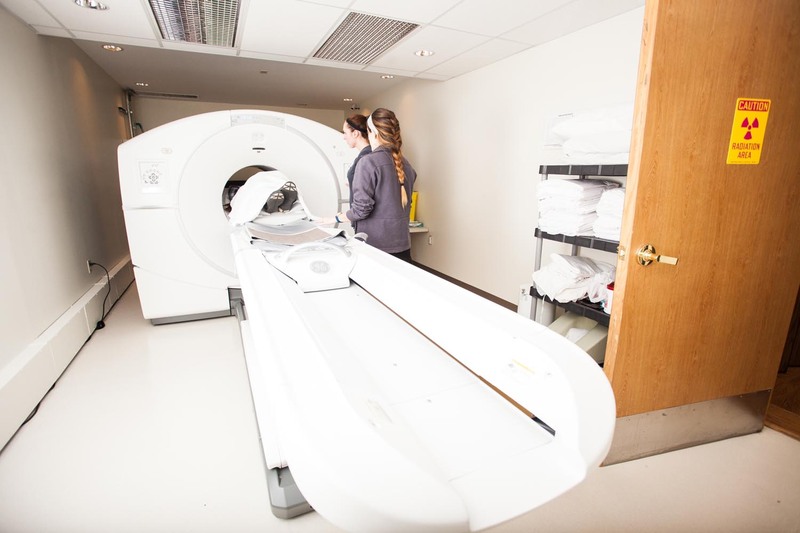 Labs are also required within the 7 days leading up to your scan. 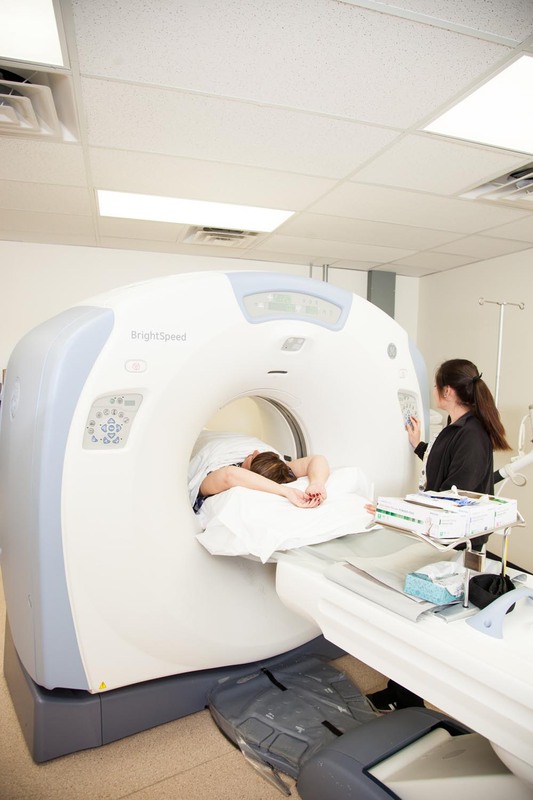 Most patients have their labs scheduled ahead of time and will also pick up their barium at that time so you don’t have to check in until your scheduled CT scan time. If not, you will need to be here 1 hour prior to your scan time. You will move in and out of a doughnut shaped scanner. You will be told to hold your breath at different times. 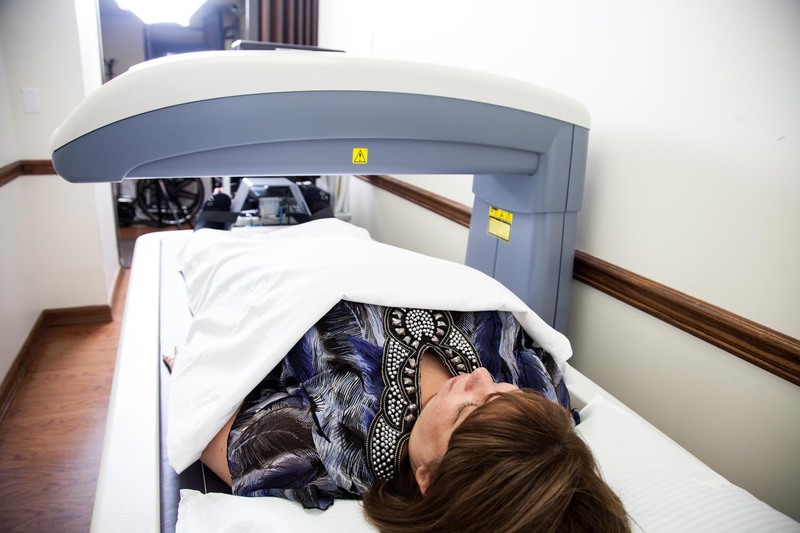 The scan itself takes approximately 30 minutes. Why is it so cold in the Radiology department? The machines produce a large amount of heat. We have to keep them at a constant cool temperature for them to operate properly. We have warm blankets, but if you are constantly cold, you might wear warmer clothes or dress in layers. Please wear as little to no metal as possible. This includes hooks on bras, zippers, snaps on shirts, etc. What do the different contrasts in CT show? The barium coats the stomach, small intestines, and large intestines. The iodine contrast highlights all the vessels. These two agents provide different contrasts on the images to make it easier for the Radiologist to see the different structures in your body. What are the chances of side effects or reactions? If you are allergic to iodine or shellfish, please contact the Radiology Department. We need to know what type of reactions you have to those and decide whether or not to use the IV dye or use pre-medications. When the Iodine dye is injected into your vein, it might make you feel warm, flushed, heart rate increase, and sometimes a feeling similiar to like you’re wetting your pants. This is all NORMAL and is NOT a reaction. Once we are done injecting the dye, those feelings will start subsiding and go away. You cannot have a reaction to the radioisotopes used in WBBS, RVGs, or PET scans. There are also no side effects to these specific scans. Can I take my medications the day of my scan? Please contact the Radiology Department to discuss any medications you are on and whether or not you can take them. We allow 7 days from the scan date to the OV date. This allows us time to get any prior exams you have had done elsewhere for comparison. 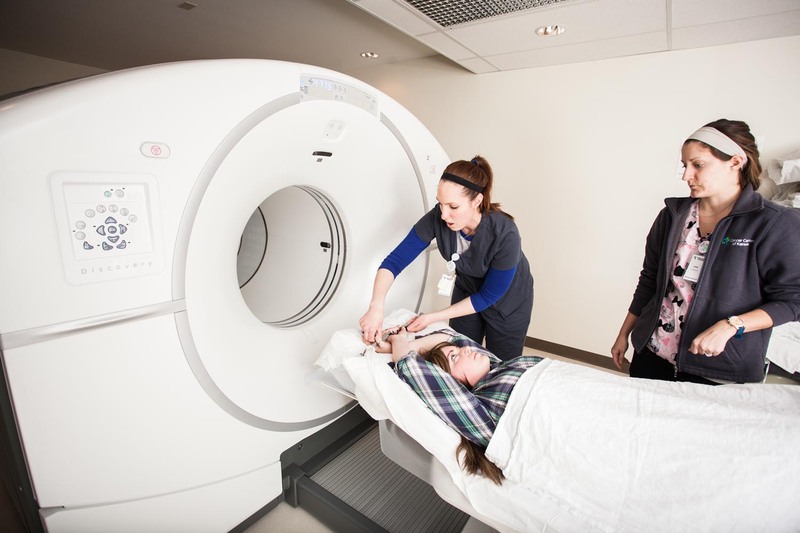 It also allows the Radiologist time to get all the images and paperwork and then read the study. Then it has to be typed by the transcriptionist and then sent back to CCK. Why do I have to be fasting or on a special diet? Each test has different patient prep. (Please refer to the specific instructions for each test listed above). Fasting for the CT allows the Radiologist to visualize the stomach and intestines without food blocking the anatomy. Fluids can over hydrate the kidneys and dilute down the iodine contrast so that it is harder to visualize any abnormalities inside the kidney. 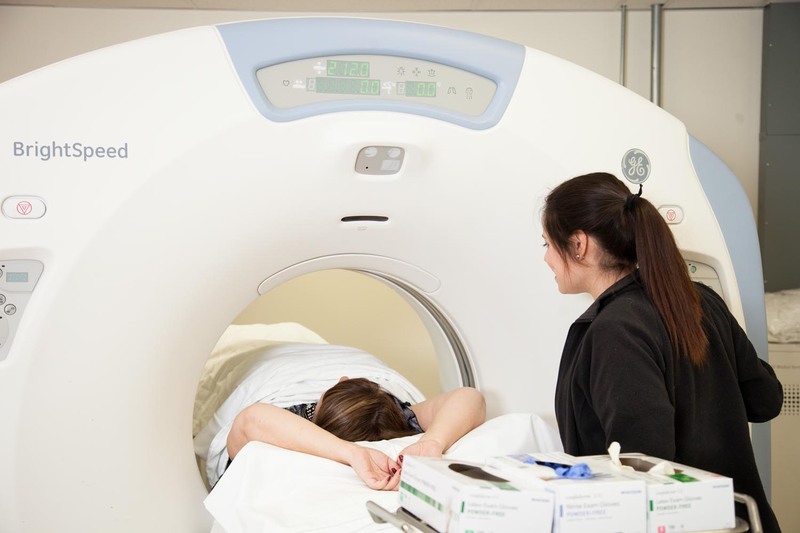 For PET scans, the special diet helps “starve” the body of glucose. Anywhere that there are cells metabolizing, the cells use glucose as fuel to grow (it doesn’t matter if they are healthy or cancerous cells). When you are injected with the radioactive “sugar water”, those cells will pull that glucose into the cells and the isotope goes along for the ride and basically gets “stuck” inside the cell. This is how we visualize those cancer cells on the images. Why do I have to stay away from small children and pregnant women? When you have a test that requires an injection of a radioisotope, your whole body is radioactive. The cells of a fetus are constantly growing and dividing and are more sensitive to radiation exposure. The cells in the thyroid tissue of children are also very sensitive to radiation exposure. Try to stay away from both groups as much as possible. If you must be in the same house, try to stay in a different room. The amount of time it takes for the isotope to decay down and lose its energy is usually 6 hours.